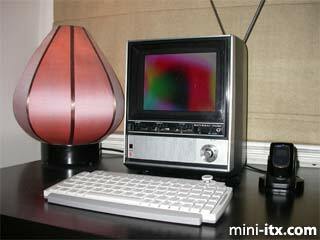 mini-itx.com - news - The "ITX TV"
The mysteriously named ZSX created his ITX TV using a 1970s National "portable" television set and an EPIA M 10000. ZSX decided to replace the CRT with an LCD TV, keeping the TV functionality. ZSX uses his ITX TV to sync to his phone and play back MPEG content, and has even managed to include WiFi and a wireless keyboard and mouse into his creation. 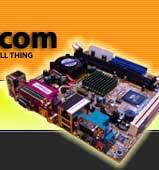 Do you have a project you'd like added to the Mini-ITX archives? Send us a picture!